Today is Valentine’s Day, and if tradition holds, Italian television viewers will be treated to emotional discussions about why Italian chocolate is the best. On cooking segments of news shows. On a consumer affairs show. On the grandaddy of Italian cooking shows “La Prova del Cuoco” (“The Test of the Cook”). It’s a ranting that has waged for ten years, but its seeds go back to the early 1970s. In 1973, Britain, Ireland, and Denmark produced chocolate using vegetable oils such as palm or karité instead of cocoa butter. Other countries in the European Union had the option of banning chocolate made without cocoa butter. Not only could countries such as France, Belgium, and Italy regulate how chocolate was made within their own borders, they could also ban imports that didn’t follow their rules. For 27 years, the European parliament tried to hammer out a compromise to please all 15 member nations. Two primary arguments emerged, economics vs. taste. The cost of cocoa butter continues to rise, argued those who favored economics, while vegetable fats allow manufactures to produce chocolate at a lower cost—a savings passed on to the consumer. 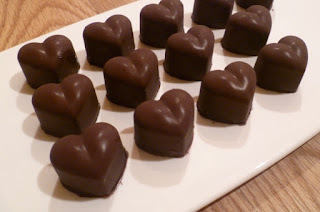 But, counter the purists, chocolate made with cocoa butter simply tastes better. The purists didn’t rely on emotional responses here; they had science on their side. Cocoa butter, it seems, has a melting point that is slightly lower than human body temperature. 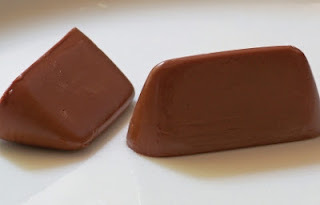 When chocolate made with cocoa butter goes into the mouth, it melts faster than chocolate made without it. Thus, there is an immediate burst of flavor. Finally, in 2000, the European parliament voted to allow chocolate made with five percent vegetable oils to be sold across the union. This change in the law meant that Italy and other countries banning British, Irish, and Danish chocolate had to amend their own laws. Italy continued to rebel, requiring that chocolate sold within its borders could only be labeled “pure chocolate” if it contained cocoa butter. The EU court ruled against Italy in 2010, threatening the country with a fine if it didn’t permit chocolate with other oils to have that label. Thus the annual rant. In Italy, where gusto, flavor or taste, is prized above most anything, we’ll hear about what makes chocolate taste good—that cocoa butter melting immediately in our mouths. I challenge you to a taste test. This is fascinating, Patricia. Who knew about chocolate battles. 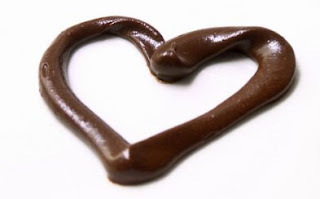 I love chocolate and am always on the search for the tastiest. Would love to try Italian. Erika, I'm glad you enjoyed the post. When the original decision came out in 2003, Italian newspapers had incredible story headlines. "Italy Has Lost the Chocolate War" bemoaned one newspaper. "A Slap to Our Country" read another. A third merely said "Chocolate is Bitter for Italy." My favorite chocolate isn't Italian but Belgian. Leonidas is out of this world. I've no idea whether it's made entirely with cocoa butter, but in any case, I've never tasted anything in Italy to beat it. I'm not arguing that Italian chocolate is the best, I'm just explaining why Italians say it's the best. Belgium was one of the countries that originally banned the British, Irish, and Danish chocolate made with veggie oil, so unless things have changed within the past ten years, I suspect that their finest chocolates contain cocoa butter. Here in the southern United States we are partial to Bourbon infused chocolates. Ed, chocolate pairs with many alcoholic beverages. The Dutch Maid Bakery, Tennessee's oldest bakery, makes a mean Chocolate-Jack Daniels Whiskey Cake. And a strong argument can be made that imbibing red wine and very dark chocolate can improve your heart's health.